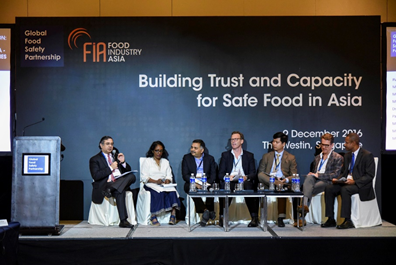 December 9, 2016 -- GFSP, in collaboration with Food Industry Asia (FIA), hosted an exclusive forum for leading decision-makers from the public and private sectors in Singapore to discuss critical aspects of building trust and enhancing capacity in the region’s food safety system. October 1, 2016 -- At the request of the Food Safety and Standards Authority of India (FSSAI), GFSP is exploring the current food safety landscape in India and the potential for short-term and longer term engagement with the Government of India, to help improve the country’s food safety capacity. 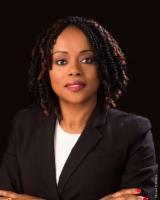 August 1, 2016 -- Ms. Lystra N. Antoine has been selected to be the Chief Executive Officer of the Global Food Safety Partnership (GFSP), effective August 1, 2016 based in Washington, DC. Lystra is a transformational leader with extensive experience in the public and private sectors, designing and managing results-driven strategies to improve the human condition through safe, reliable and sustainable food systems.